Do you really need Whey Protein? Whey protein is the first supplement to enter the fitness industry. It is a concentrated form of protein for people who are notable to meet their protein requirements via protein rich foods. Whey protein is absolutely vegetarian form of protein made from cow’s milk. Whey protein is a simultaneous process along with cheese processing. When milk undergoes cheese processing, the milk curdles and the water which is left back is Whey. This drained off Whey is then spray dried to become whey protein powder. So for people who are confused if whey is vegetarian or non-vegetarian product, it is very clear that it is made from Cow’s milk. So it is a by product of dairy. Whey is commonly marketed as a dietary supplement to help to increase the protein intake in diet. It is advised to incorporate Whey in diet with consulting a Nutritionist or your dietitian who will calculate you present protein intake from diet and will tell you how much additional protein powder to be added to your diet. At the same time if you don’t want to add whey protein then try to include any form of protein rich food in all the meals so that you don’t loose on the active cells “Muscles”. Every person who works out regularly at gym or any form of exercise is advised to take Whey to meet up the increased requirement of protein. And especially for vegetarian as vegetarian protein sources are bulky and second class proteins. 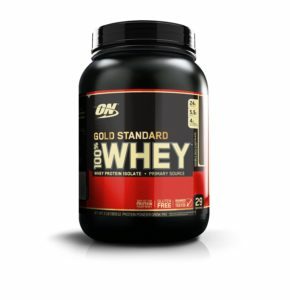 Whey is first class protein as eggs, chicken, fish. Protein powders available in markets are of various categories. From all the available, whey protein is far more effective. Whey is one of the richest source of BCAAs, Which includes 3 amino acids Leucine, Isoleucine and valine. Whey also provide us with anti-oxidant benefits, enhance muscle recovery, growth ad also boost up immune function. Most of us buy protein because we lack it in our diet. So intention to buy protein powder is to buy protein alone, not carbs nor fat as it is very easy to get carbs and fats in our regular diet. When you choose a protein supplement make sure that you choose the one which has high proportion of protein. So always make a habit to have a look at the supplement facts panel to confirm whether the product contains what exactly you want. To the actual quality or protein and the superior quality of protein, you will need to do some calculations. Take the grams of protein per serving listed on the supplement facts panel and divide it by the serving size (in grams). This will provide you with the percentage of protein in each serving. To be the best whey protein powder, the percent protein per serving (or scoop) should be 90% or greater. For example, if a whey protein powder provides 24 grams of protein per 25 gram scoop, that protein powder is about 90% protein and is a great whey protein for the money. All protein powders are not equally good. Some protein manufacturers use cheap raw protein and hence they can afford to sell it at cheaper rate. If you get anything at undesirable low rates, you better suspect something is fishy. To check if your protein powder is of good quality but not of any major brand, check on bodybuilding.com, GNC or The Vitamin Shoppe. As it is said, you get what you pay for. In addition to price, you can also differentiate a low-quality protein powder by its percent of protein. Most protein supplements contain around 70%-80%-90% protein but also some cheap proteins contain as low as 35% protein. So that reflects that it is also accompanied by carbs and fats which we are not really looking at. If a protein powder lists whey protein concentrate first on the ingredients list, followed by whey protein isolate and/or whey protein hydrolysate, but has less than 70% protein per serving, then it only has a very small amount of whey protein isolate and/or hydrolysate in it. Few companies add very small amount of whey protein and hydrolysate just to claim that their product contains them. But the amount added is so small that they will not help you body in a way. So the best way to choose your whey supplement is to first check the supplement fact panel very carefully and also calculate for you how much percent of protein it contains. Do not depend on the advertisement made on the label or marketing done for the product. Invest some time along with money to get the right product in your bucket.